In this month of June of 2017 enjoy the SPA treatments in Real SPA Marine at Grande Real Villa Itália, an ARTEH® Hotel in Cascais, and take advantage of a reduction up to 50%! Pre-summer facial flash with weaving algae (30’). Relaxing and re-balancing massage with raspberry oil (50’). From 45 EUR per person / treatment. 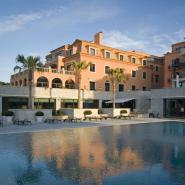 - This special offer is subject to availability of the hotel. - This special offer cannot be accumulated with other promotions or special offers and conditions. - This special offer is subject to changes to prices, content and validity dates without prior notice. Contact us by phone: +351 217 803 470 or send your e-mail to reservations@arteh-hotels.com. Please indicate the title of this Special Offer along with the check-in and check-out dates and your contacts.